Should You Allow Your Employees to Nap While on the Job? There was a time when people could get into trouble for falling asleep at work, but things have changed in recent years. More and more companies are encouraging their employees to take naps during work hours. If you are considering whether or not you should allow your employees to nap on the job, the following information can help you make the right decision. Many companies in the U.S. require their employees to work very long hours. To ensure that their employees will not be overly exhausted, these companies provide napping rooms or pods as a perk. A report released by the Society of Human Resource Management revealed that napping rooms or pods were found in about six percent of all workplaces in 2011. Some of the well-known companies that allow their employees to nap at work are Google, Nike, Ben & Jerry’s, Pizza Hut, Huffington Post, Workman Publishing, Deloitte Consulting and Yarde Metals. According to the National Sleep Foundation, adults sleep an average of about seven hours per night during the work week, which is one hour less than the sleep duration recommended by experts. This means that a large percentage of American workers are sleep-deprived. Sleep deprivation can have many adverse consequences, including increased errors, accidents, absenteeism, drug use and turnover; higher insurance rates, and lower productivity. Depending on the severity of its consequences, it may result in substantial financial loss for a company. In 2011, Harvard scientists found that sleep deprivation costs U.S. businesses about $63 billion in lost productivity every year. Dozens of medical studies have found that sleeping for 30 minutes to one hour in the afternoon can increase alertness, productivity and mood. 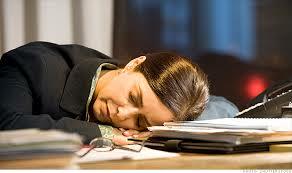 Employees who are sleep-deprived have a greater tendency to feel tired than those who have enough sleep, and they may lose their ability to focus on their work. This can result in a decline in work quality and productivity, and even costly errors and accidents. Napping at work can make your employees feel more refreshed and revitalized, enabling them to perform their duties more competently. It is especially helpful for those who are working in a creative field, because it can boost their ability to think creatively. The best way to create a nap-friendly workplace is to dedicate a room for napping. You can place beds, recliners or sleeping pods in the room and use dim atmospheric lighting to provide a comfortable sleep environment for your employees. If you do not have enough space to create a napping room, you can supply nap mats and eye masks instead. Many companies that encourage napping on the job have seen a significant increase in employee productivity. Therefore, it is highly recommended that you make napping a part of your company culture. About the Author: John McMalcolm is a freelance writer who writes on a wide range of subjects, from running a small business to online reputation management.